Getting the right kind of painting contractors is one of the biggest investments you make in your home improvement endeavor. Of course, finding the right painting contractor would seem to be a daunting task. A good contractor will also give you useful inputs on how to look after your home so it will be free of molds, bacteria and other infestations. Painting contractors who give warranty for their painting jobs are people to be trusted. You know they are good at their job and can afford to give guarantees. If there is something you want to clear once the painting is done, the contractor will only be too glad to clear it for you. Being in the painting field, they know about latest technological innovations in the market and will know how to use them to make your home look well-painted and well protected. Hiring a professional contractor will also let you get some good quality painting supplies. You can call your contractor and discuss with him on the type of themes you want to use for your home. You can choose the painting supplies based on the theme you are setting for your home. If you love active and vibrant colors for your home, you can buy colors that promote vibrant hues and tones. Rich colors like red, purples, dark yellows, oranges, exotic pinks and deep browns are used to signify travel destinations. If you are a travel freak and have an adventurous trait, you will definitely love these colors. If you are a nature lover then you will love to get painting supplies that are entirely environment friendly. Natural greens and browns are available in the market. Earthy browns, placid blues and refreshing greens will definitely make your rooms unique and very special. Or you can incorporate different themes for different rooms. Plan it with your contractor and make your home the most talked about building in your town. You can do it without breaking the bank. 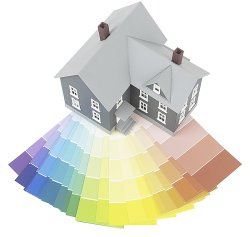 You have several interesting options on the type of paint you want for your home. You need to decide on what kind of sheen you want too. You could go for the satin-like sheen. It will make your walls look smooth. Or you can go for an ever smoother finish with the eggshell texture. The semi gloss and the gloss are other kinds of textures used for painting a home. For the ceiling, you can go for flex latex paint. Too much sheen on the paint will make it harder for your clean the walls if there is any stain on it. Choose colors that are easier to clear when you are doing the walls. 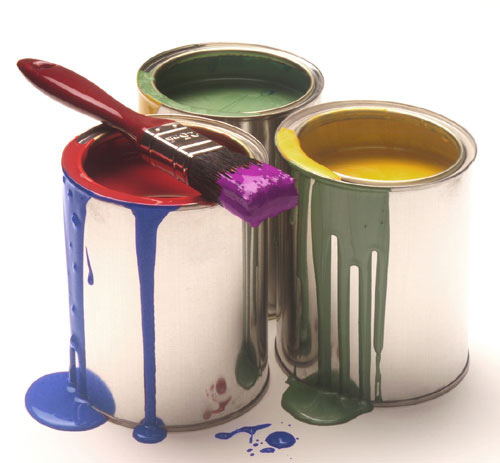 Latex paints have a lot of sheen; if you want, you can avoid them on your walls because they are easily stained. Latex is better when you are painting your ceiling. However, manufacturers claim of newer latex varieties that will help clean stains faster; you can check that option with them before buying. Previous story Do You Use Data Centres In Your Business?